A gold standard grade has been delivered to Hampshire's fire and rescue service for its involvement of the public and its staff in the reshaping of its services. The Consultation Institute (TCI) described the work of the Service over the last two years as a "model of best practice" when it came to carrying out such a programme. The Safer Hampshire consultation, which shaped proposals that will help the Service save £5m and see frontline services radically overhauled, was not only given the highest possible grading by TCI but was also described as an exemplar of public and staff engagement. Nick Duffin, associate at TCI, said: "Hampshire embraced the consultation from the start and were entirely committed to involving staff and the public in shaping the future of their service. "They were keen to discuss and debate their proposals and retained an open mind throughout, which ensured they came to the best-informed decisions possible. "We would hold Hampshire up as the model of best practice for any other fire and rescue service going through such a process." TCI works with organisations, mainly in public services, to promote best practice when it comes to involving the public and staff in key decisions and initiatives. 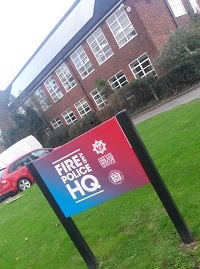 During the process, every one of Hampshire's 51 fire stations were given the opportunity to help decide how their response capability would look in the future. The public consultation phase of the process, which ran from September to December last year, saw more than 450 people attend public meetings and forums, 2,000 questionnaires completed and 30,000 hits on the consultation web pages. Chris Carter, Chairman of the Hampshire Fire and Rescue Authority, said the TCI commendation justified the comprehensive approach taken to gathering information and opinion during the project. He said: "Our belief was that our residents and staff would be absolutely central to deciding the future of their fire service and would be involved right from the start. "Following extensive feedback, we updated and revised our proposals and the result was a strategy that will ensure we grow into a more efficient, effective and relevant fire service that the people of Hampshire can be proud of. "It is now important that we have captured our learning from this process and that we share this with other organisations to help embed best practice across the country."